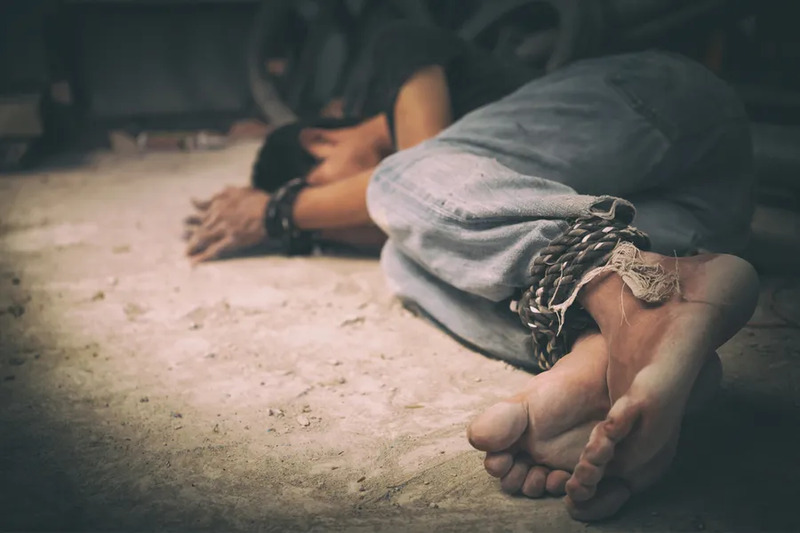 The handbook — named “Pastoral Orientations on Human Trafficking” — is broken down into ten sections, each analyzing human trafficking from a different angle and providing recommendations. Vatican City, Oct 27, 2017 / 03:04 am (CNA/EWTN News).- Ahead of a Vatican conference exploring the future of the European Union, several ambassadors to the Holy See have said the event is a prime opportunity to share ideas with those who are beyond their usual circles. And the Church, they said, is in a unique position to speak on major issues, offering key insights from which many global leaders could benefit. Because of this “there’s no danger that everybody pats each other on the back in mutual agreement on everything, but you are really going to be exposed to different ideas and different geographic regions, and that’s a very, very exciting prospect,” he said. “Europe is only strengthened by the engagement of thoughtful people, hearing their concerns and their criticism and their hopes,” she said. Titled “(Re)Thinking Europe: A Christian Contribution to the Future of the European Project,” the conference takes place in Rome Oct. 27-29, and will gather together hundreds of high-level Church and E.U. political leaders. 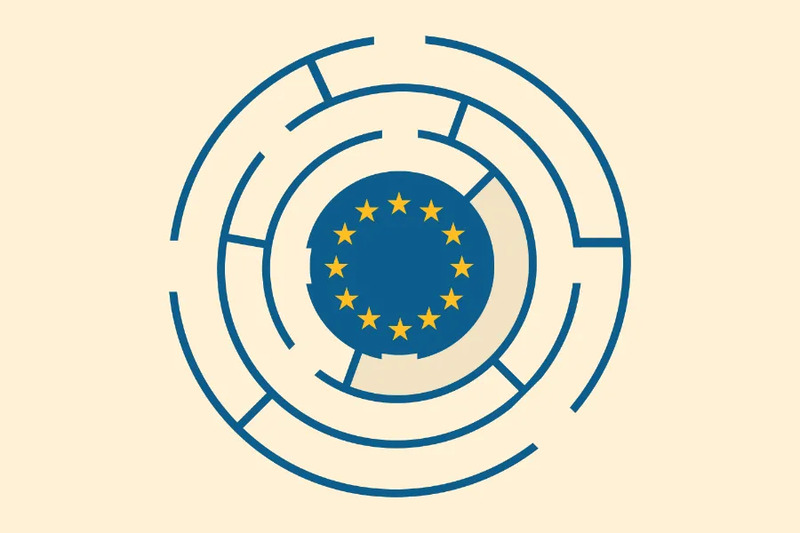 It is being organized by the Commission of the Bishops’ Conferences of the European Community in partnership with the Holy See, and will draw hundreds of civil and ecclesial leaders from across Europe and the E.U. to offer a constructive reflection on the challenges facing Europe. Rather than an official congress with a formal concluding declaration, the event will be more of a frank discussion between the various stakeholders, as well as an opportunity to for the different parties to exchange ideas and opinions. Some 350 participants from 28 delegations representing all E.U. countries are slated to attend, including high-level E.U. 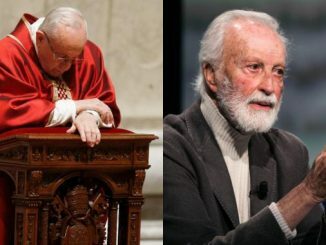 politicians and Catholic hierarchy, academics, ambassadors, representatives of different Catholic organizations and movements, as well as from other Christian delegations. Vatican Secretary of State Cardinal Pietro Parolin will open the conference with a keynote speech Friday, and his address will be followed by a speech from former President of the European Parliament Pat Cox on the “crossroads” at which Europe currently stands. From there, discussion will dive into topics such as the state of democracy in Europe and how to build bridges among the various E.U. member-states, as well as what kind of economy is best for Europe amid a changing world. On Saturday, various ambassadors to the Holy See will chair discussion groups divided by language, so the various interlocutors can meet and exchange ideas with representatives from different countries and organizations, both civil and ecclesial. The conference will close with an audience with Pope Francis, who throughout his pontificate has been outspoken about his vision for Europe, including the need to “rediscover” the Christian roots of the continent and to find new, innovative and creative solutions to modern problems. “I was present at the E.U. 60th anniversary meeting in Rome, and you could feel that he really cares about Europe and tries to engage in a dialogue,” he said. “We support him in that,” she said, adding that the British government also welcomes the fact that European bishops and Church leaders want to contribute to the discussion on the future of Europe. “It is important that the religious perspective on Europe’s future direction is heard,” she said. French Ambassador to the Holy See Philippe Zeller also commented on the poignancy of the Pope’s message on Europe, particularly in his recent speeches. Also pointing to the subtle change in the tone used by Pope Francis – who during his visit to Strasbourg in 2014 told E.U. leaders that a “grandmother Europe” needed to move beyond “outdated” systems, but in March was much more keen in highlighting the potential that Europe has for the future – Zeller said the March speech especially “was very well received,” particularly the reference to Europe’s roots. Noting how in his March speech Francis pointed out that the six “founding fathers” of the E.U. “were all engaged in, in a personal view of course, the Catholic religion, in Christianity,” Zeller said that to present this view is “very important right now,” as Europe is re-thinking its identity. Both Zeller and Habsburg stressed the importance of remembering Europe’s Christian roots. In terms of the message each country wants to bring to the discussion table, Madigan, Habsburg, and Zeller all voiced their desire to both share their own local experience on key issues, and to listen. For France, Zeller said their new president, Emmanuel Macron, has a lot of ideas on the challenges Europe faces, including security and defense policies, economic and business policies, as well as the desire to reduce unemployment and increase trade opportunities. Looking forward, Madigan said the future of the E.U. “is inseparable from the future of the world,” and that as such, members must adapt to the new challenges faced not only on the continent, but throughout the world. “I have the impression that some countries which are at times being perceived as being very critical of Europe or even rebellious, often only have wishes that could somehow also further the common European cause, but are often not listened to or are often drowned in lots of political narratives,” he said. “It’s a real serious stopping, sitting down together and talking, and I think Europe really needs that now,” he said. And while heads of state meet with regularity, the conference is unique in that so many people from different levels of both Church and state will attend and share ideas. Rome, Italy, May 20, 2017 / 11:15 am (CNA/EWTN News).- Held this year on May 20, Rome’s seventh annual March for Life was a chance for pro-life advocates of any faith to share their convictions about the sanctity of life and how it is founded in a love of life and family. 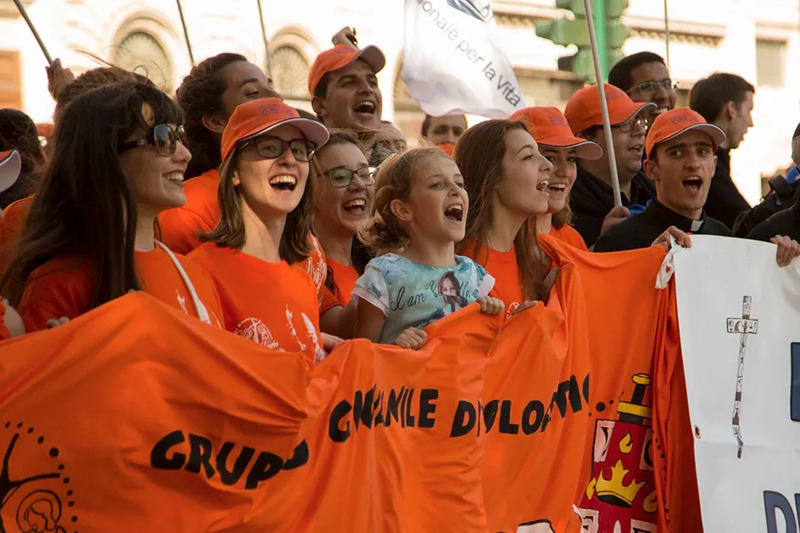 “It is the seventh edition of the March and as in the past years, we expect thousands of people to come and create a joyful atmosphere,” Alessandro Elia, one of the event’s organizers, told CNA ahead of Saturday’s event. Pope Francis gave his apostolic blessing to participants in the pro-life event. In a written message signed by Vatican Secretary of State Cardinal Pietro Parolin, Pope Francis voiced his hope that the March for Life would promote the dignity of human life in Italy. More than 6 million babies have been aborted in Italy since abortion on demand was legalized in the country in 1978. Since that time, “it seems like being contrary to abortion is not permitted,” Elia said. First held in Rome on Mother’s Day in 2012 – previously held in another part of the country on one other occasion – the annual event was modeled after the U.S. March for Life held each year in Washington D.C.
Over the past four years, thousands of people have traveled from around the world to take part. This year’s March for Life began its peaceful demonstration at the Piazza della Repubblica, marching down Via Cavour, a major thoroughfare of the city, to arrive at the Piazza della Madonna di Loreto, located next to the busy Piazza Venezia of the well-known Altare della Patria national monument. Thought open to people of all faiths, the night before the March Eucharistic Adoration was held at the Basilica of Sant’Andrea delle Fratte to pray for the reparation of the crime of abortion. Though there were heavy rain showers off-and-on the morning and early afternoon of the day of the March, by the time it began in the afternoon blue skies and sunshine prevailed. Euthanasia is a current pro-life issue in Italy at the moment, as the Italian Chamber has voted in favor of a bill that would effectively force doctors to follow directives from patients or their trustees – no matter made how many years earlier – to even include the withholding of food and water. Next the bill to be passed by the Italian Senate. The law, on advanced healthcare directives (in Italian called DAT), “requires the doctor to be bound by an anticipated declaration of a patient who requests the suspension of nutrition and hydration,” Elia explained. Besides forcing doctors to participate in what is essentially a form of assisted suicide, “the death of patients by starvation and dehydration is extremely cruel,” he said.